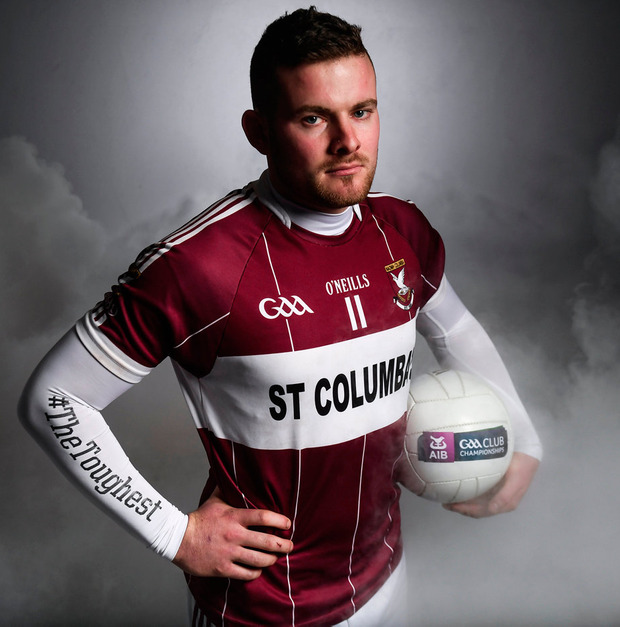 If it wasn't for football, James McGivney reckons there'd be nothing in Mullinalaghta. In many ways, the picture he paints of his local 'half parish' is typical of rural Ireland. The place is small, the post office is closed and the broadband is hit and miss. "We're working on it," McGivney says of their online access. There are a total of 44 pupils in the local national school. And when McGivney was there, there were just seven in his class. Three of them were boys and, at 25, he's the only one still playing football. Given their size, they have to operate at maximum efficiency to compete. A few years ago, McGivney headed to Australia but within ten months he was back in Longford and playing with the club. The pull of home was strong, particularly when he knew they had a good team that was capable of winning domestically. "I cut it short to come back with the club and that year we were beaten in the Longford quarter-final by a last-minute goal which was heartbreaking," he recalls. "But we always knew we had the talent, it was a matter of putting it all together and producing it. "So I took the decision to come back and play for the club because I know the amount of work lads put in and I didn't want to be the reason that they might have had success if I was at home." They've won three Longford titles on the bounce now, breathing life into the place with each time they defy the odds. "It's a half parish. There's only a church, a community centre, a school with 44 students and a football field. And only for the football field I'd say the majority of our team would have emigrated by now. That's the heartbeat of the club and the only thing keeping the community together." When they secured the Longford title in 2016, it was the club's first since 1950. To mark the occasion they pulled into the local graveyard to pay their respects to the men who had gone before. "I suppose we just wanted to stop off at the graveyard in memory of those lads who did win it back in (1950). We just wanted to show our respects to them, that they were still being thought of." On Sunday, they face their own version of the loaves and the fishes when they take on the powerhouse that is Dublin champions Kilmacud Crokes. On the face of it and given their respective size, there's no way Mullinalaghta and Crokes should be going head to head. But the Longford men have made a habit of defying the odds of late and their progress to the final was no accident. They beat St Loman's in their first foray into Leinster and stuck with St Vincent's for long periods next time out. And with each run, they have been gathering more experience and getting better. And as far as the numbers game is concerned, McGivney isn't getting caught up in it. "It's not their fault that they have so many members," he says of the Stillorgan-based outfit. "It is where they are located. It's great to see the GAA being so popular (in Dublin) and more power to them because if we had the same numbers we would be more than happy to take in as many. It's not just us, it's happening all over rural Ireland." "It's like playing a game of darts: you're playing against the board not the player beside you. We're more focused on ourselves than Kilmacud. We just want to perform to the best of our ability and see where that takes us." Now that the chance has presented itself, they are not about to take refuge in their limited resources. "These thing happen clubs in cycles and when you hit a spell you have to take all of what's on offer and make the most of it. We know our time is limited as a club to be successful you have to produce as much as we can when we are able. "If you're there there's always a chance. I give ourselves some sort of chance. All I'm hoping for, and I know the other lads are as well, is that we produce the best possible performance we cannot to let ourselves, our supporters or our club down. "We know if we perform to the best of our abilities, you'd never know, something special might happen."